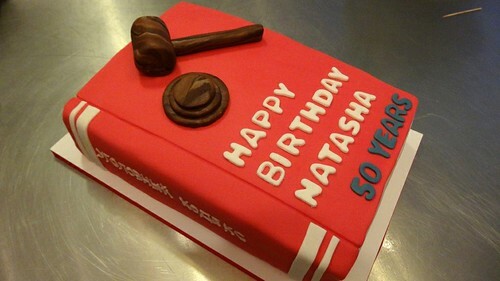 Judge's Birthday Cake, a photo by CAKE Amsterdam - Cakes by ZOBOT on Flickr. Birthday Party for Judge! A big red book with knocker and personalized text. Flavor : Spiced Carrot Sponge with Cream Cheese Frosting and Pecans.